Summer vegetables are always healthy, easy on stomach and loaded with full of nourishments . 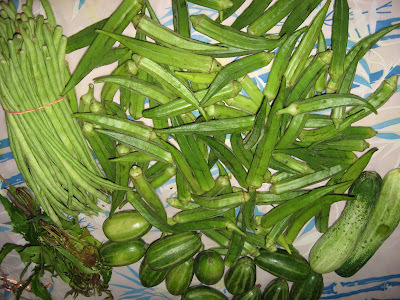 I guess summer time is good for eating light and healthy also, luckily we have our local vegetable market near ,that makes a lot of difference as we get fresh vegetables on a daily basis .We get fresh supply of potol,borboti ,kumro,beans,jhinge and also other vegetables also . Here is what we purchased yesterday morning . Potato – 2 medium cut into long pieces . Add salt , turmeric, red pepper powder,sugar and stir fry , add booorboti and fry for some time . Add little bit of water ( in Bengali it goes like “ jol chora deva “), cover and cook for 10 mints at low till veggies are tender .Take out and serve with bhaat (rice) or chappati . Cabbage half finely cut . 1 tbs of mustard oil. Heat up a kadai , add dry red chilly sauté it till brown ,take it outside , let the oil cool it off .Mash the potato with this oil and red pepper .Wash your hands before you do anything else .This recipe goes well with Panta Bhaat also .Panta Bhaat or the cooked boiled rice soaked in water for 4-5 hrs is a staple diet in summers and we are not any exceptions , fiery and spicy mashed potato tastes too good with panta bhaat . To the recipe of Bandhakopir Torkari . 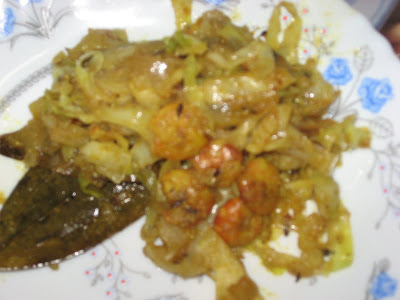 add rest of the oil , temper it with cumin seeds , bay leaf and sauté the cabbage , it will take very less time as the cabbage is cut finely , say 3or 4 mints , mix in the mashed potato and fried shrimp and take out in serving bowl . It goes well with noodles on top or cooked rice .While we had it with Chappati for dinners . Our Verdict – The addition of spicy mashed potato gives a distinct touch , and my in-laws liked it too , My ma-in-law named it “Darling Bandhakopi” LOL…. so we call it Darling Bandhakopi also . 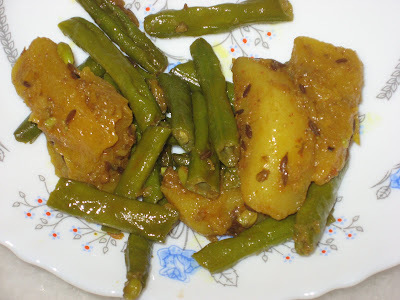 Sireesha of Mom's Recipe ,Consideres my blog yummy , thanks a lot for your appreciation ,it means a lot . Here is a link to my yummy recipes Click here . And I would like to pass it on To Talented and a great persona , Vivacious Asha for her hard work which shows thro her wonderful site Foodies Hope . My posts are not showing in Taste Of India , So friends please get the subscription of spice and Curry , I will really appreciate it .Thanks a lot everyone , Happy Cooking . You are lucky you get all these veggies. Hello Jayashree, thanks for your sweet comment! 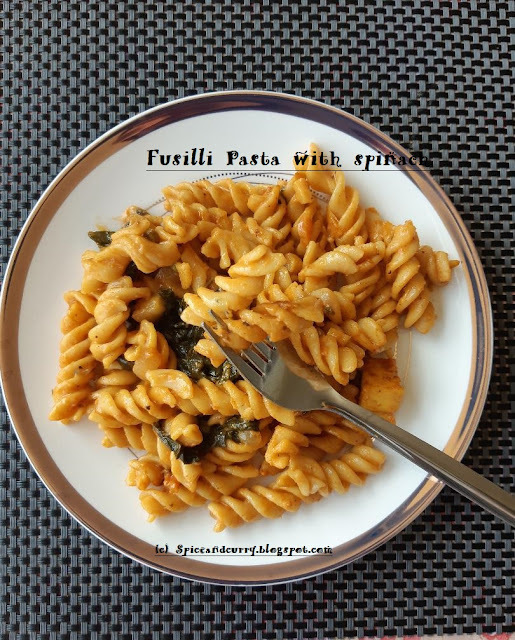 These recipes you have posted are simply delicious and though I'm not a big admirer of beans, I love eating them once in a while. But the chingri and cabbage curry is my all time favorite. My mom prepares it really well. Thank you very much for sharing those recipes. Have a great week! Wonderful curries, Borbotir Torkari looks great. You have very nice blog!!! Keep rocking..
good to see you , Ya I know hunting down for fresh veggies in foreign land is very cumbersome..
Moms home made recipes always rocks and yum to eat ...These 2 curries are our fav too .. So how far you have to go to get veggies..when we were in US , we didnt have much choice also .. Welcome here and enjoy your stay here ..Thanks for liking the Borbotir Torkari ..So, you love to cook for your Daddy too ..Me too loved my Papa's healthy tips about cooking and lifestyle ..All girls are Daddy's daughter always ...LOL..
the recipies are a big help..cant really thanks enough..thank u so much! !